About a year ago, I answered a post on Facebook and won a 6 issue subscription to the Cricut Idea Book series from Northridge Publishing. It was a nice surprise to win a random draw just for commenting. When the magazines arrive, I flip through them to see if there is anything that catches my eye. If you are not familiar with the Northridge Publishing magazines, they are nicely produced with a limited number of ad pages so the prices tend to be on the high side. I recently received the Cricut Cards issue and I took it along to read in the car on our trip to the family reunion. 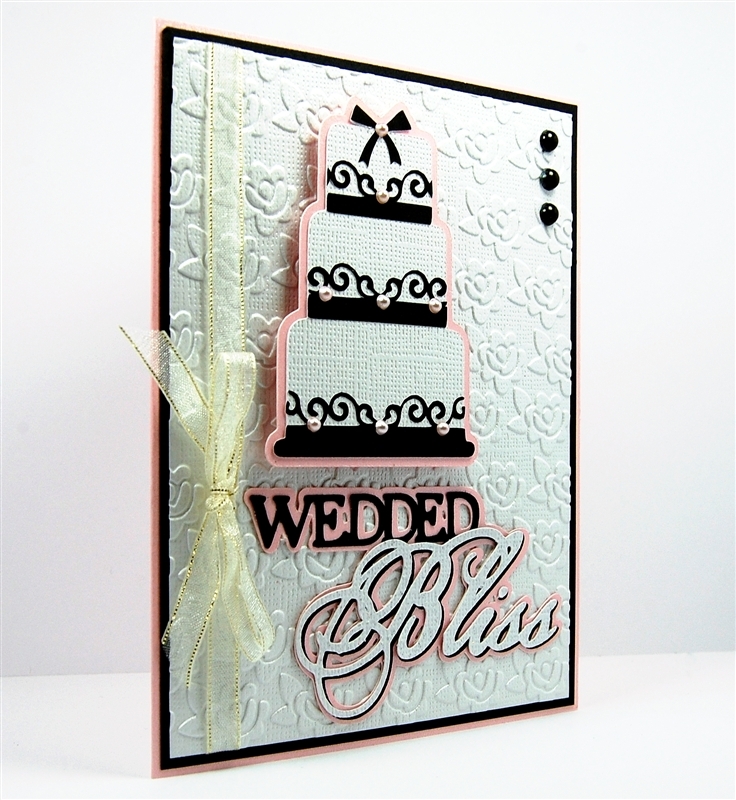 There were a few wedding cards made with the Creative Memories Divine Wedding cartridge. 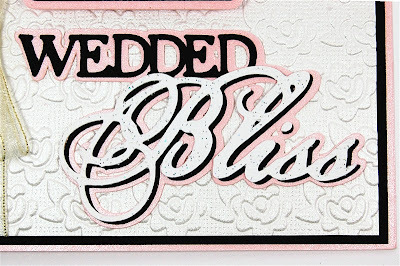 This is a cartridge full of intricate and lovely designs and one of the cards just looked totally wrong to me. I looked at it several times and it bothered me to see how poorly the cut came out. It made me wonder whether the designer of the card has a faulty machine. 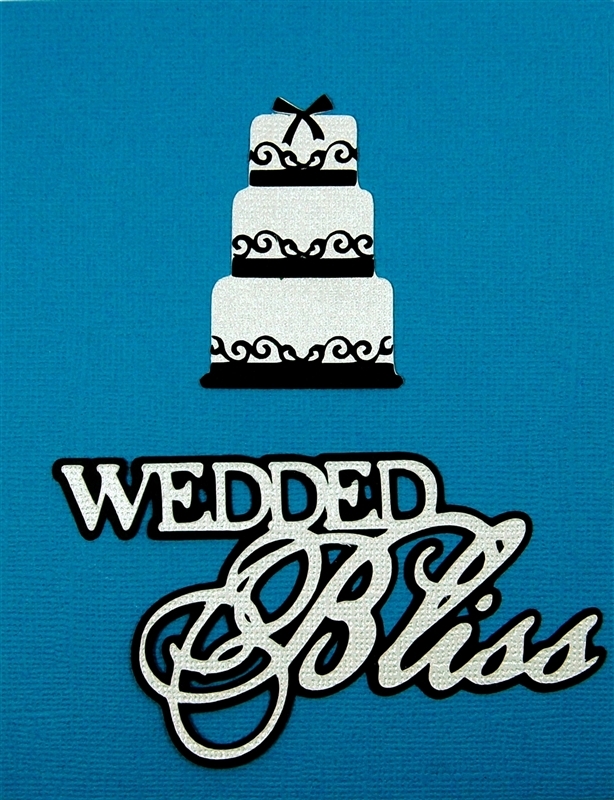 When I looked at the "Wedded Bliss" cut it didn't look anything like the image on the cartridge. I decided I had to try cutting the same image at the same size to compare results. The size was listed as 2 inches for both the cake (I'll get to that in a minute) and the phrase in the magazine. Here is the handbook image of the cut. 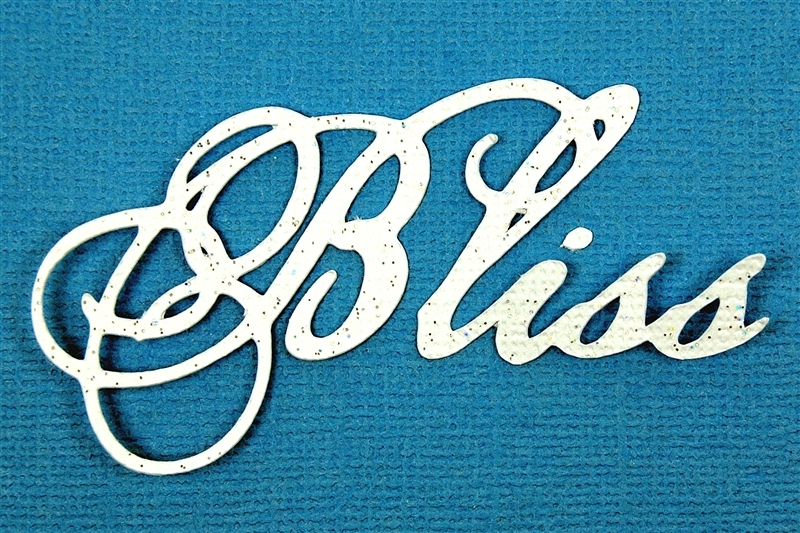 The swirls around the letter "B" are thin and separated nicely. I cut the top layer from Core'dinations Gemstone cardstock and the shadow layer from the rather thin Recollections cardstock. 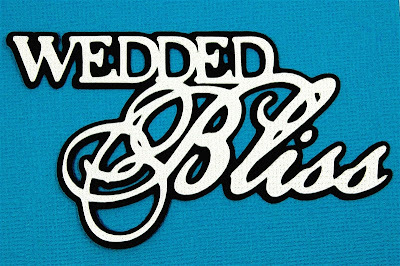 The words cut neatly at 2 inches. This type of thin cut is tricky to adhere. 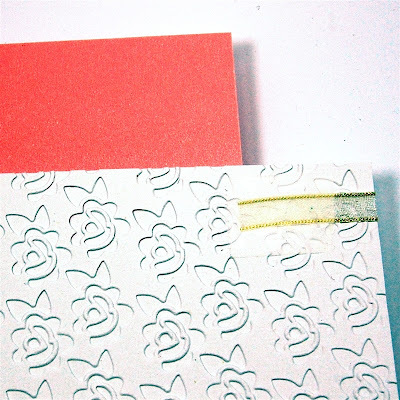 I used the LetraTac adhesive sheets to apply tiny dots of adhesive to the back of the cut. Here is the assembled cut at 2 inches. You can see a huge difference between this cut and the one in the magazine. This cut looks like the image in the handbook. 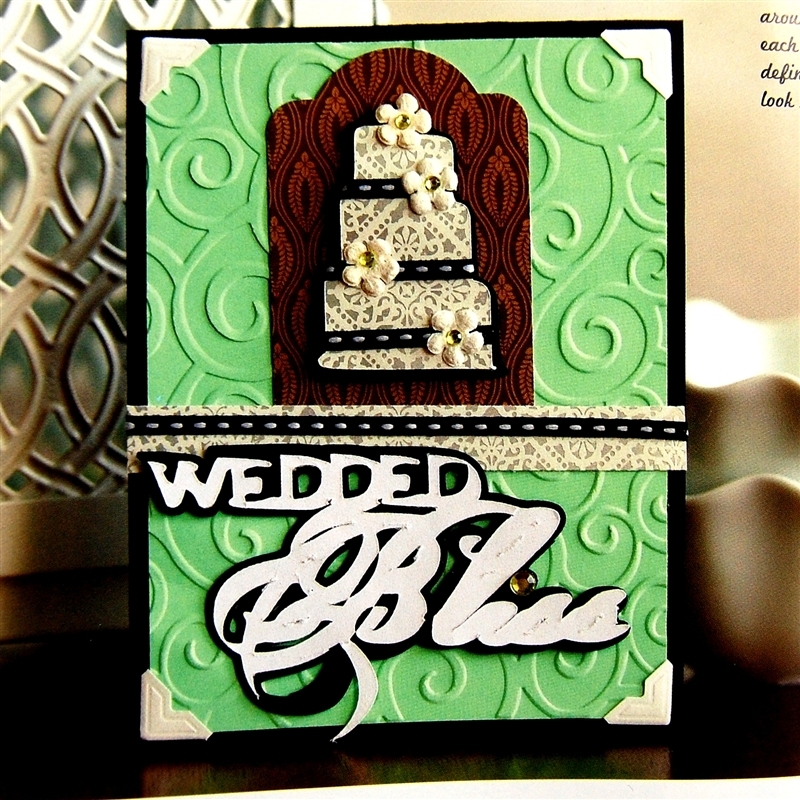 I originally intended to cut just the sentiment to see if it could look better than the card in the magazine. Then I looked at the cake and realized that the image had not been completed with the swirly decorations that are part of the cartridge design. I decided to go ahead and try cutting the decorative layer for the two inch cake. I used the same black cardstock but the result was not good. Instead of fussing with lots of different settings on paper, I decided to use my fall back strategy of cutting tiny details from vinyl. 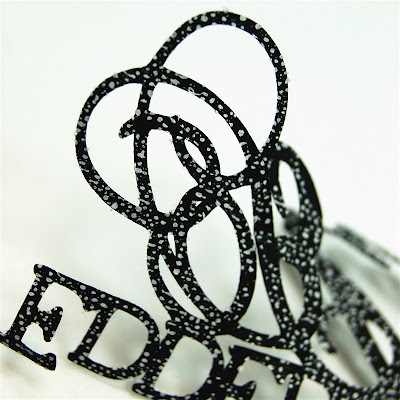 The machines we use are based on vinyl cutters and it is much easier to cut small curves and swirls in vinyl. Having gone this far with my experiment, I decided to remake the card. 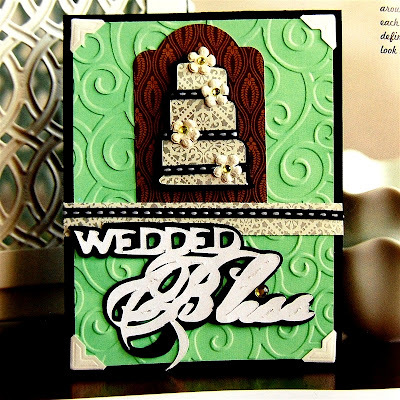 I thought that the cake should be larger and the sentiment smaller to fit the A2 card more neatly. I cut layers for both cakes in black vinyl. As you can see, it cut nicely, particularly at the larger cake size of 2 3/4 inches (still quite a small cake). In addition to being easier to cut, vinyl is very forgiving when you apply it to cardstock. 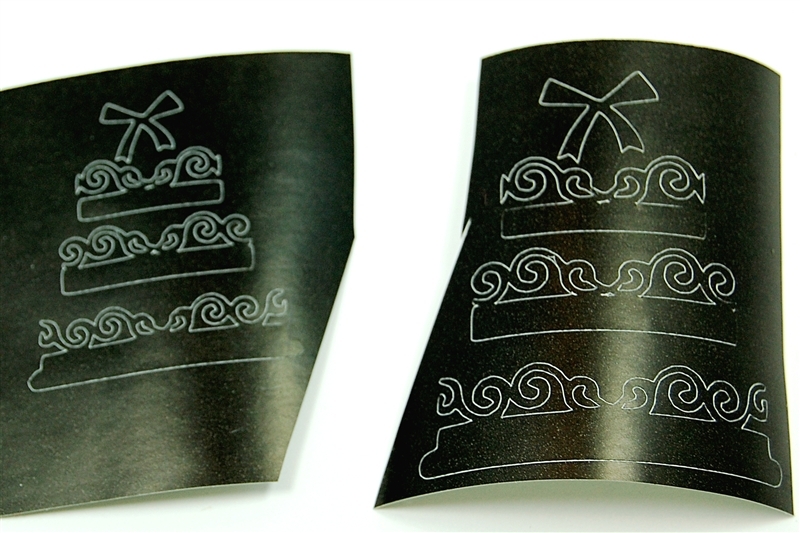 The adhesive is already on the vinyl and you can reposition it several times. Here are the two cakes I made - the one on the left is 2 inches and the one on the right is 2 3/4 inches. 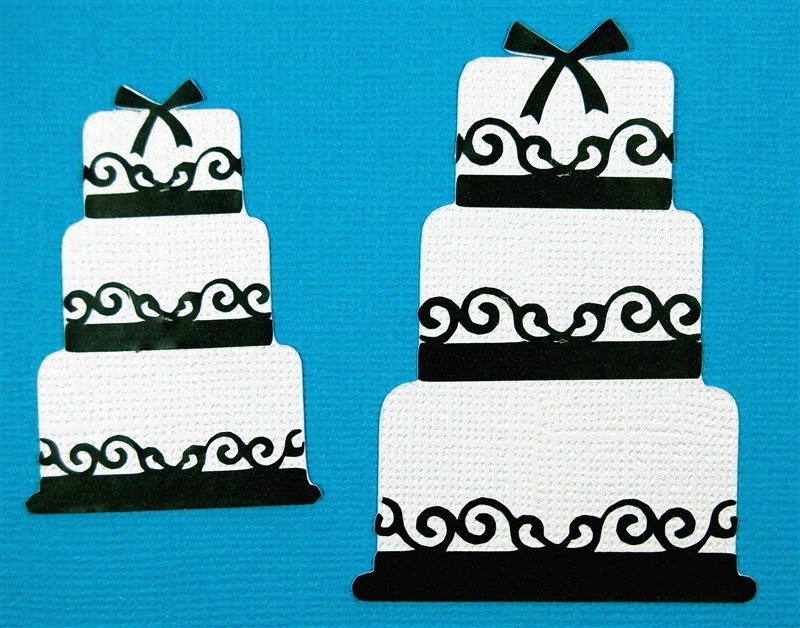 Here you can see the two inch sizing for both the cake and the sentiment on an A2 card front - this didn't work for me. I cut another sentiment at 1 3/4 inches and used the cake that I had cut at 2 3/4 inches. This looks more balanced to me. 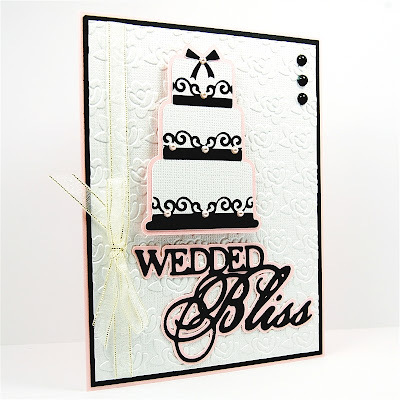 I made the card base from pink shimmer cardstock and cut the shadow layers of both the cake and the words from the same cardstock. 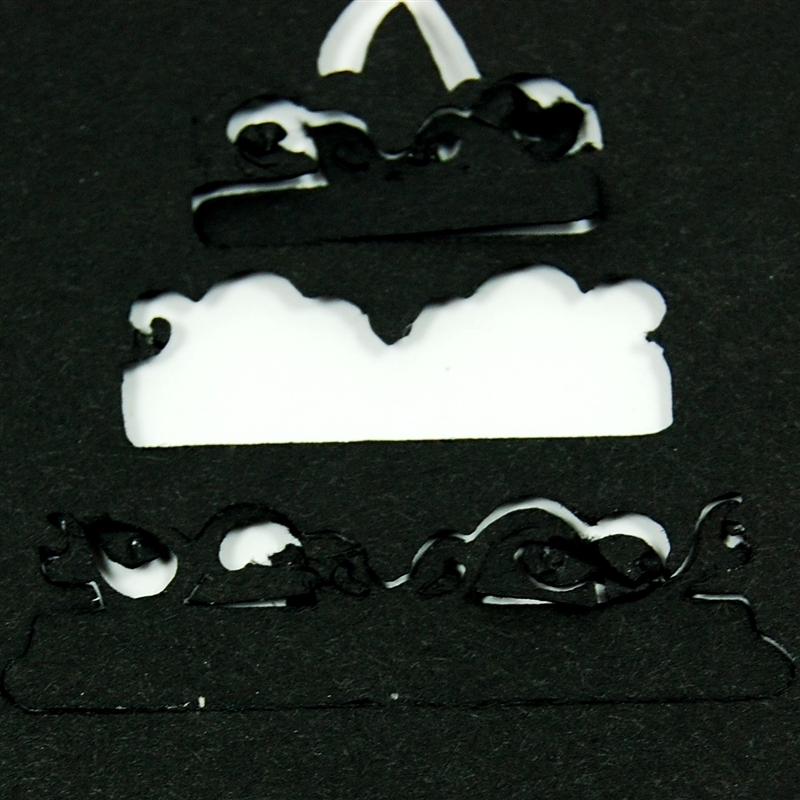 I cut a piece of the white Core'dinations Gemstone cardstock at 5 1/4 x 4 inches for a typical card layer. I used the LetraTac adhesive again on the delicate top cut of the phrase. These tiny dots of adhesive are quite strong. If any of them show when the cut is assembled, they can easily be removed with a gum eraser. 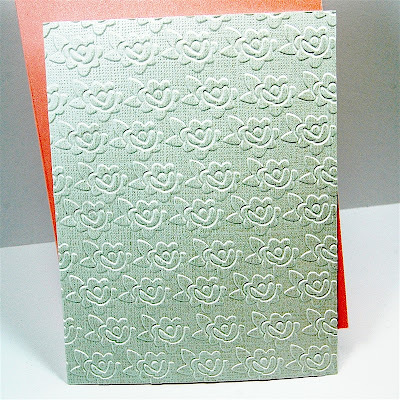 I chose the rose folder from the Once Upon a Princess Cuttlebug Companion set to emboss the white cardstock. 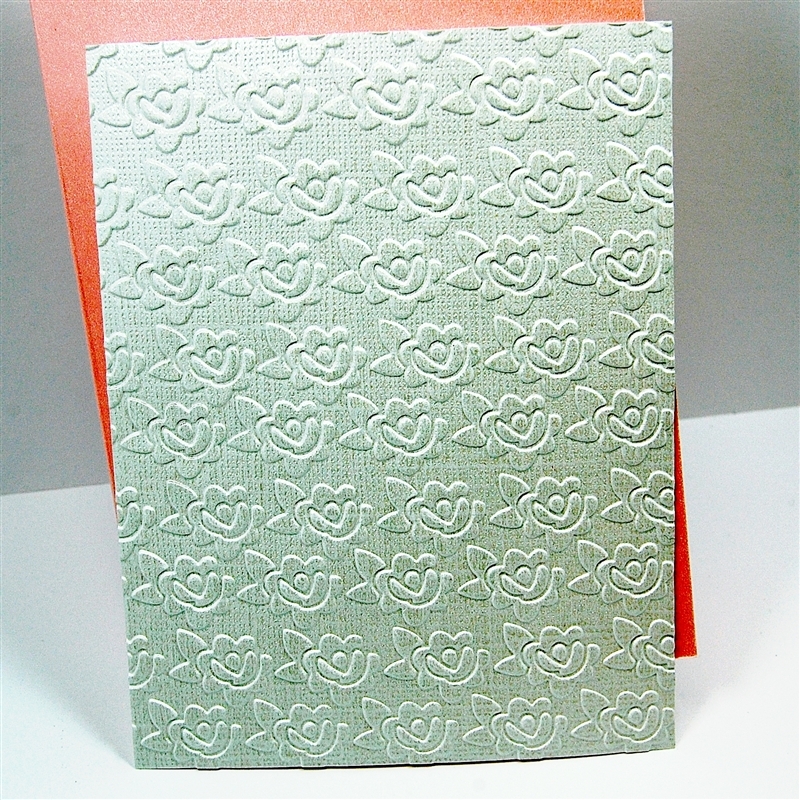 I like the regular design and the scale of the pattern for an A2 card (the folder is actually sized for a 5 x 7 card). I was careful to align the cardstock along a line of roses at the bottom edge. 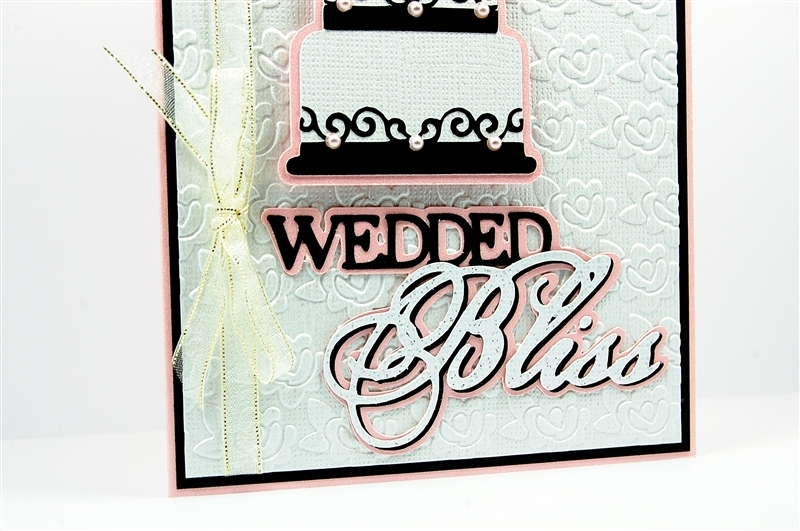 I taped some sheer sparkly ribbon to the card layer and then tied a bow on the ribbon on the front side. At this point, I had most of the bits of the card ready to assemble. I wanted to add a little more definition around the edges of the card so I cut another layer of black cardstock at 4 1/8 x 5 3/8 inches to create a thin line around the edge of the embossed layer. I also added a group of three back pearls in the top right corner to balance the design. The sentiment is adhered directly to the embossed layer and the cake is raised up with some foam circles. The cake needed a few finishing touches so I added some pink pearls along each layer and in the center of the top bow. When I looked back at the cartridge handbook, I realized that the designer had included a top layer for the word "Bliss" - so I thought I'd try cutting the final layer from glitter cardstock. The Core Couture has glitter that is embedded in the cardstock and generally cuts well (thought I was concerned about the small size here). 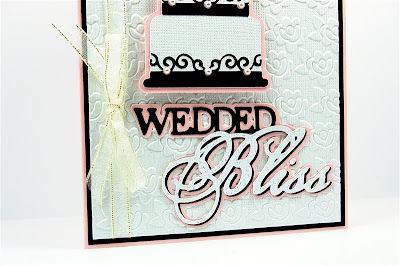 When you are cutting something delicate from heavy cardstock, it is often best to do a double cut, lower the pressure and slow down the speed. I used a blade depth of 5, medium pressure and speed with multi cut set at 2 times. As you can see, it cut beautifully. Even thought the layer is sized to fit exactly on top of the word, I set it off slightly to create a drop shadow effect. I thought that there would not be enough contrast between the white and the pink and might have chosen the colors in a different order if I had realized earlier that there was a top layer. I really like the swirls on the cake and the vinyl was perfect for this size. When I cut the vinyl, I did a "kiss cut" with the blade at four and the pressure and speed at medium. This setting keeps the backing intact and makes it much easier to lift the pieces and apply them to the cake. I was glad to see that the cartridge would cut correctly and I ended up with this card and some extra cuts that I can use for future projects. I am a little disappointed that the editors did not recognize that the cuts were not properly made since they give a bad impression of a very pretty cartridge. Sometimes it takes a few attempts to figure out the correct settings but I usually can get a result that looks close to the designer's intention. I still haven't solved the problem of tiny circles cutting as ovals on the Cricut - but they cut perfectly with the Silhouette Cameo, so I just switch machines for that type of design. Of course, a good blade and a sticky mat are important, particularly when you are working with smaller cuts. A few people have been asking me to tell them which machine is best. I think it really depends on the individual user and their preferences. I don't see any problem with having and using as many machines as you want and can afford to get the results you want. I'll try to do a post soon with my list of pros and cons if that would be helpful to anyone trying to decide on a future purchase. I hope you have some fun plans for the weekend - we are going to New Hampshire to pick up some shelving and it is also tax free weekend in Massachusetts so there may be some shopping...just saying! Subscribe to Capadia Designs if you would like to have new posts delivered directly to your email. WOW! Your makeover is soo much better! Thanks for sharing! WOW! I can't imagine what the Publishers were thinking. 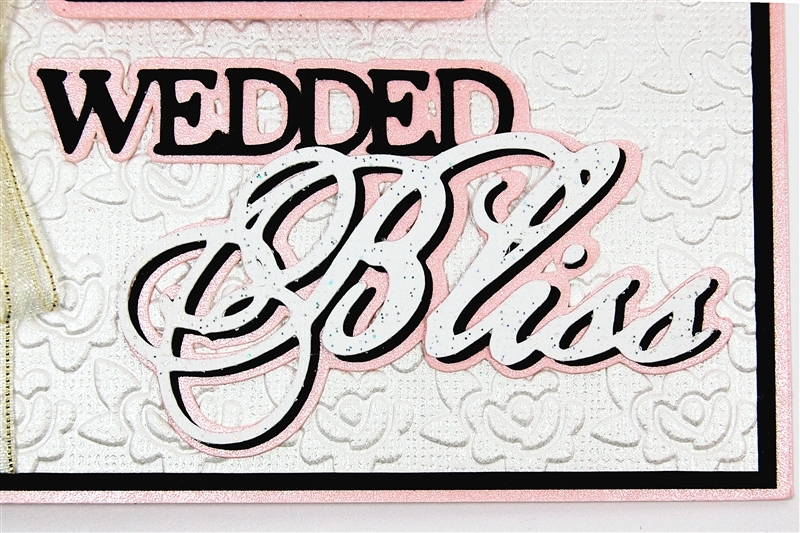 I agree with Scrappy Heartz, your card is 100% better!! Everything about the magazine card is awful! The papers don't work together, and the cuts are clearly wrong. I was getting cuts like that when I cut through CCR, so I save all my projects to my gypsy instead. I can't imagine publishing such a terrible looking card as the original--everything about it is so wrong. But yours, on the other hand, is wonderful! By the way, I LOVE your blog! Beautiful card! You should send it to the publisher to show them how it shoud look!! Love the details that you added, and the colors are perfect. Nice to have one like this in your stash. 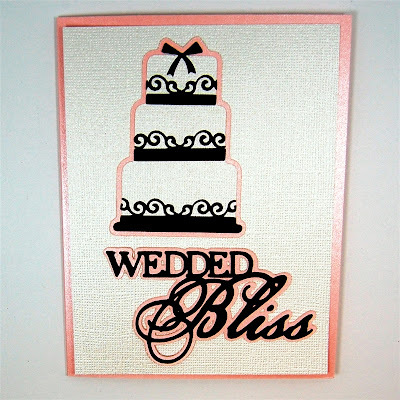 BethAnn M.
Diane, That card is the tackiest wedding card I've ever seen. The colors are aweful and the letters are blurred. On the other hand, your card is gorgeous and so elegant looking. I can't believe the publishers allowed that green card to go into their magazine. 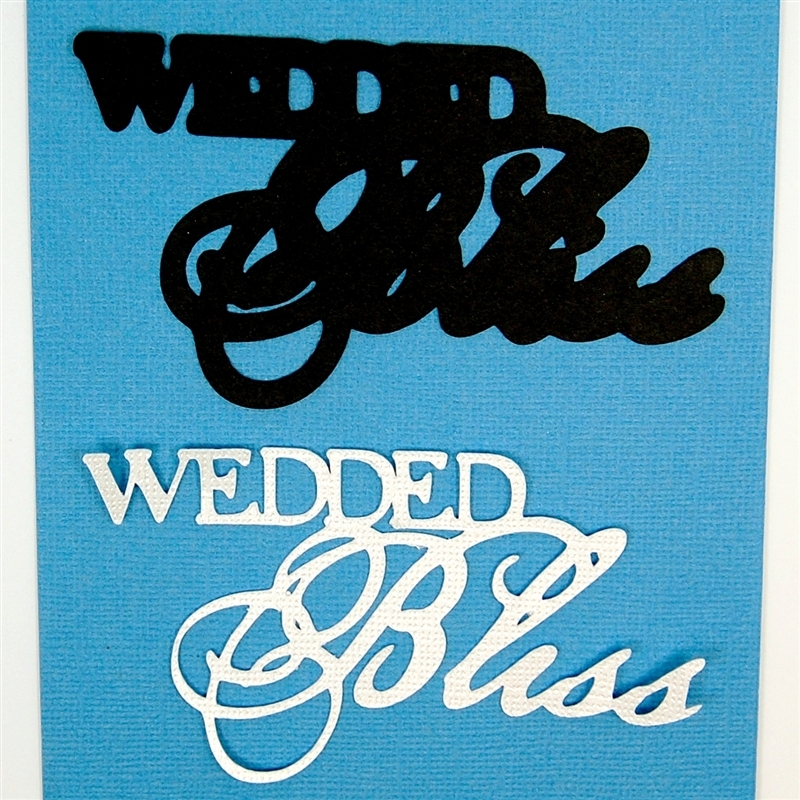 You really need to send in your card to show them what wedded bliss really looks like. Appreciate your taking the time to recreate the card and sharing it with everyone; it is really a nice card. I am embarrassed for the initial creator of the card. My heart goes out to her. 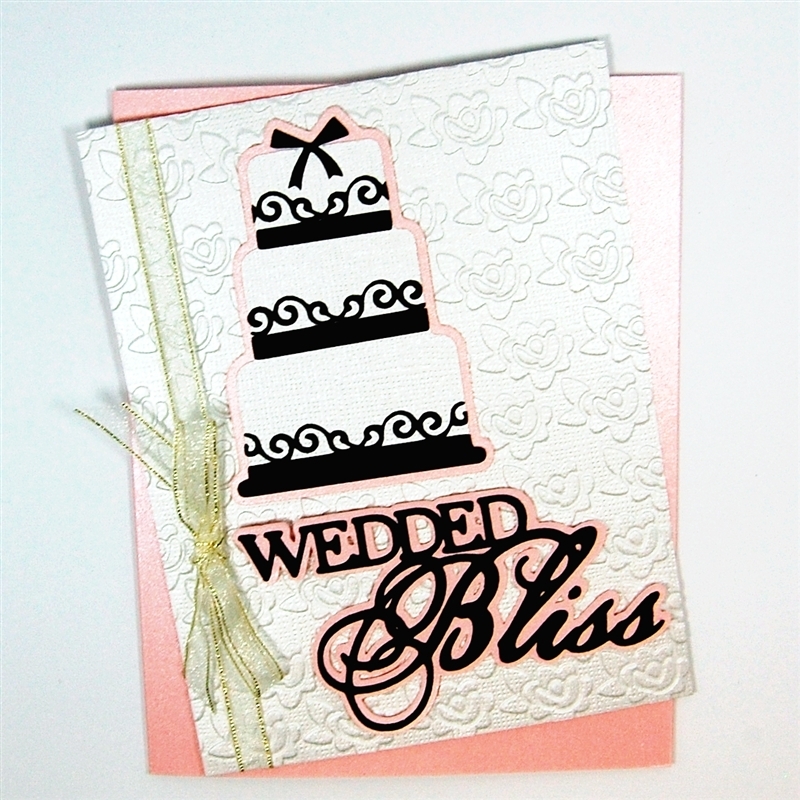 The magazine must have someone not familiar with the Cricut and cartridges to have published this card. This would not inspire to me purchase their magazine. I hope someone from the magazine sees your "remake" so they see quality workmanship. I agree with every previous post. What was that publisher thinking? Gives me hope that someday I will be published! LOL! Thanks for this whole tutorial. 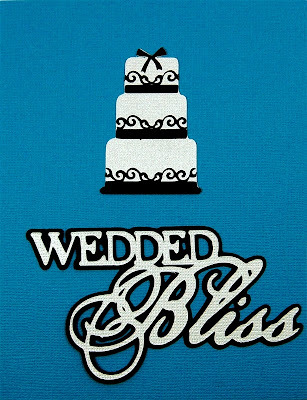 I sometimes wonder why there are 3 parts to some image & you helped clear that up (the 3rd image on "Bliss.") This is my favorite type of "how to," when one image is shown & then another technique/improvement is shown. I appreciate you still showing us Cricut ideas!I craft a lot & purchase quite a bit but I still use & love my original personal size cricut & design studio & many cartrides & cannot justify switching at this point. Not only does it not appear to be the cut from the cart, but it looks like a sloppy hand cut. The loop at the bottom is torn and hanging down! I we will be more forgiving of my own cards when they don't come out perfect. To think I haven't been confident enough to send in my cards is crazy after seeing that one. Your card is lovely by the way, as always. Thanks for the cutting tips! I feel bad for the scrapper of the original version that was published. If her machine is bad, or her blade, and everything cuts like what we see in this card, she may not know how good cuts can really be! Honestly, like the others, I cannot believe it was published. Why wood Northridge allow it? Seems really odd to me. Love your daily updates. Thanks for sharing so much will all of us! Birthdays, Birthdays and more Birthdays! 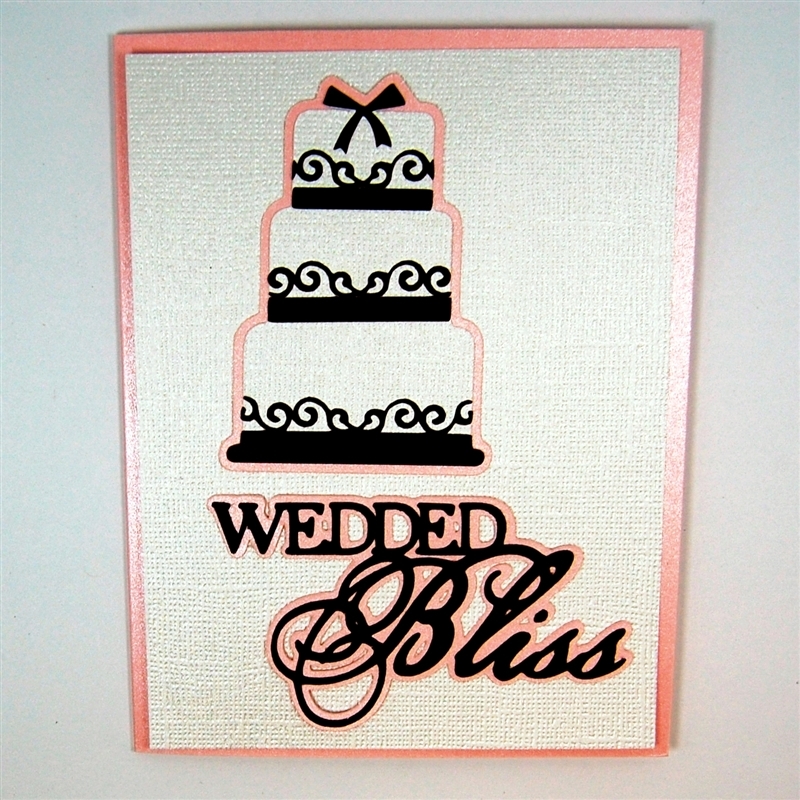 Paper and Stitching - a great combination!